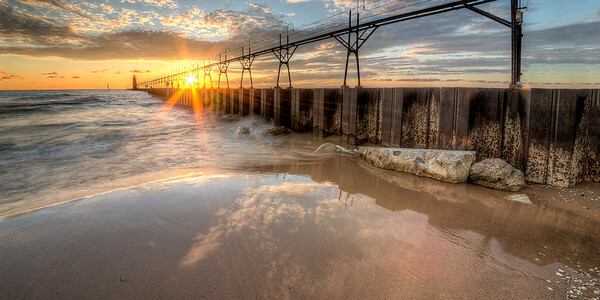 South Haven is a small town along Lake Michigan in southwest Michigan. 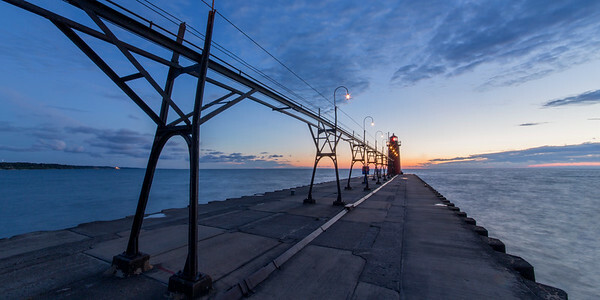 It thrives in the summer with visitors from Chicago, Michigan, and all around the world. 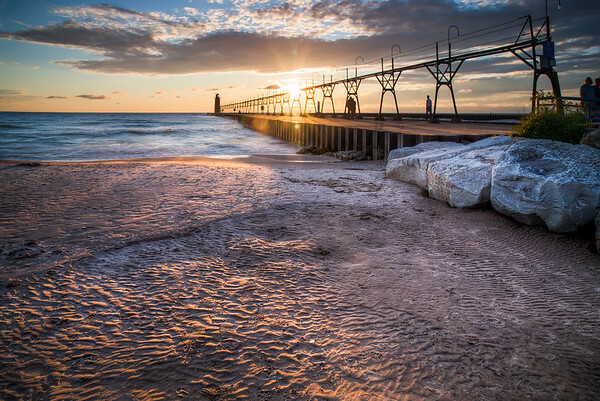 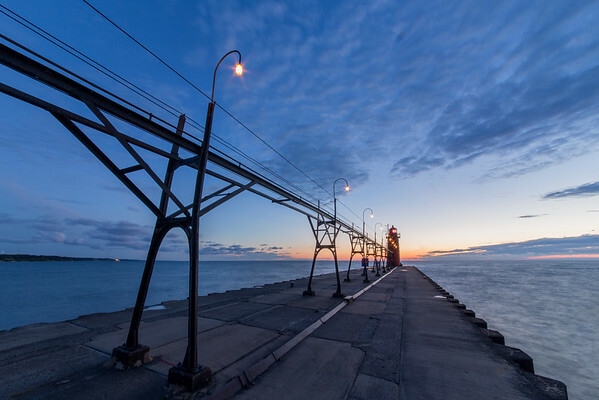 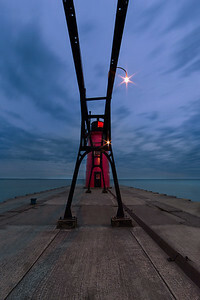 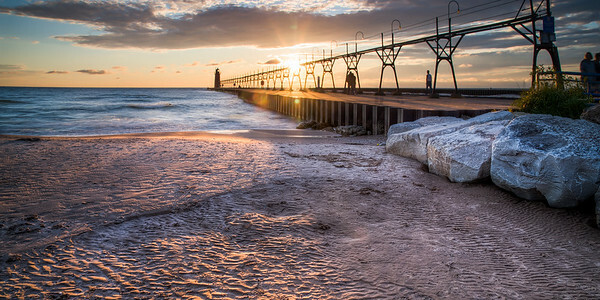 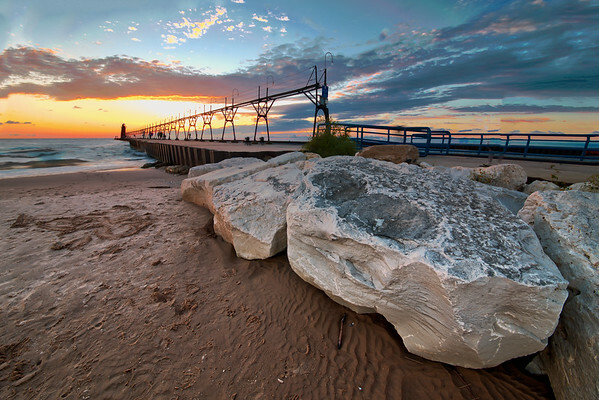 South Haven has a very wide and sandy beach with a distinctive pier leading to an immaculately maintained lighthouse. 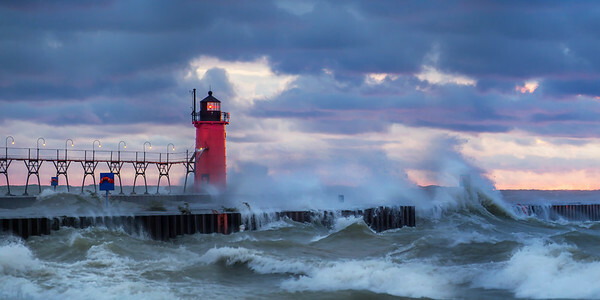 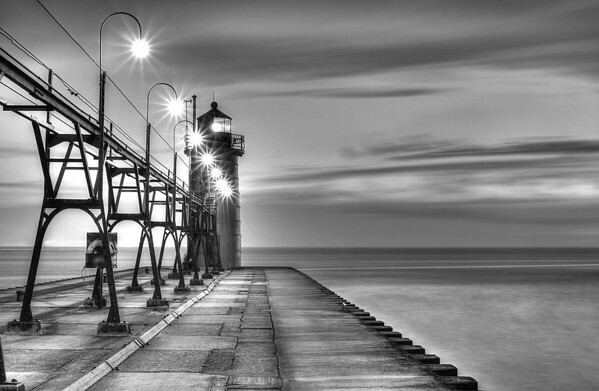 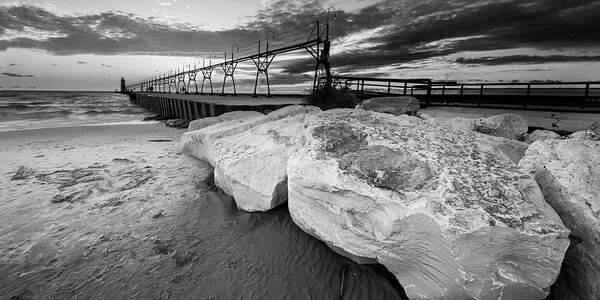 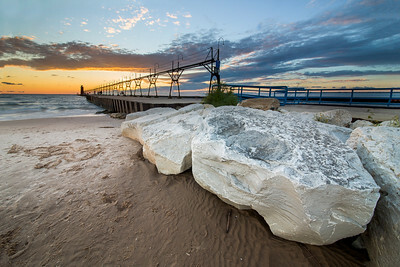 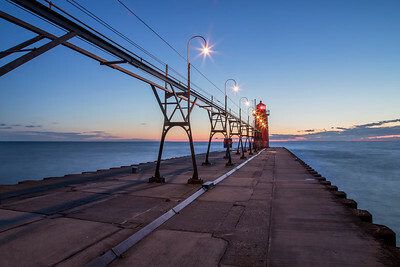 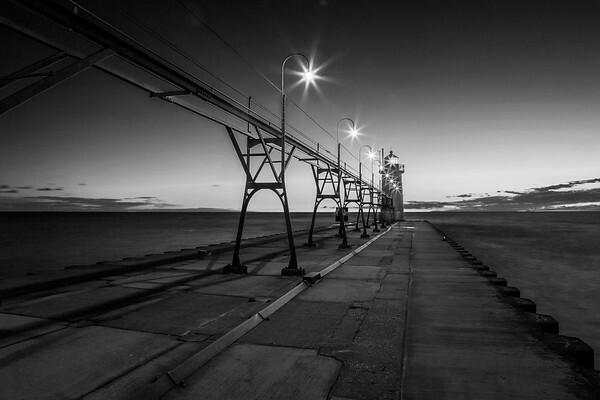 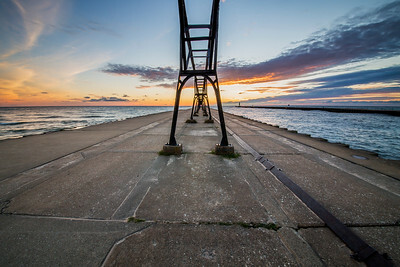 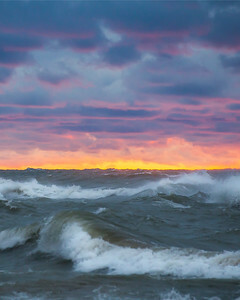 Fine art photography of South Haven, Michigan, available as prints with lots of framing and matting options, or as digital downloads. 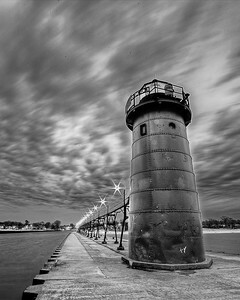 The South Haven Lighthouse, pier, and shore.